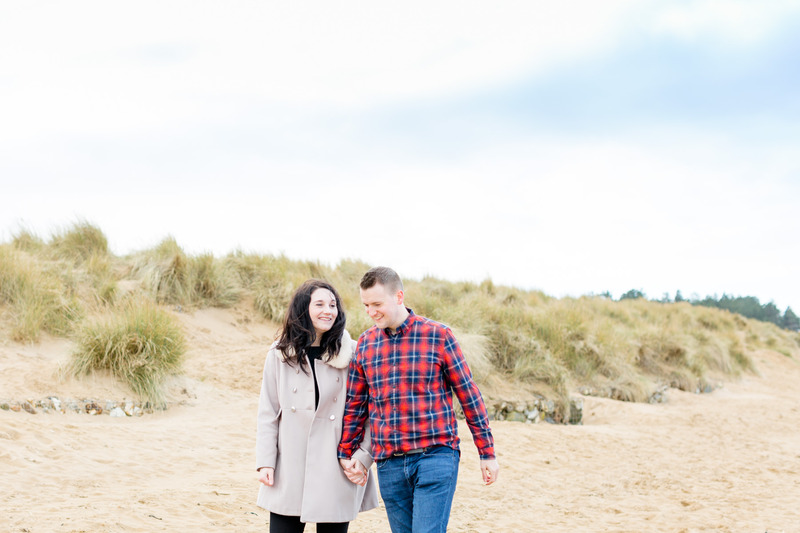 I first met Grace & Benjamin at a Costa coffee shop, we chatted over coffee and cake (well, if I remember Benjamin may well have gone all out and had a bacon sandwich)! 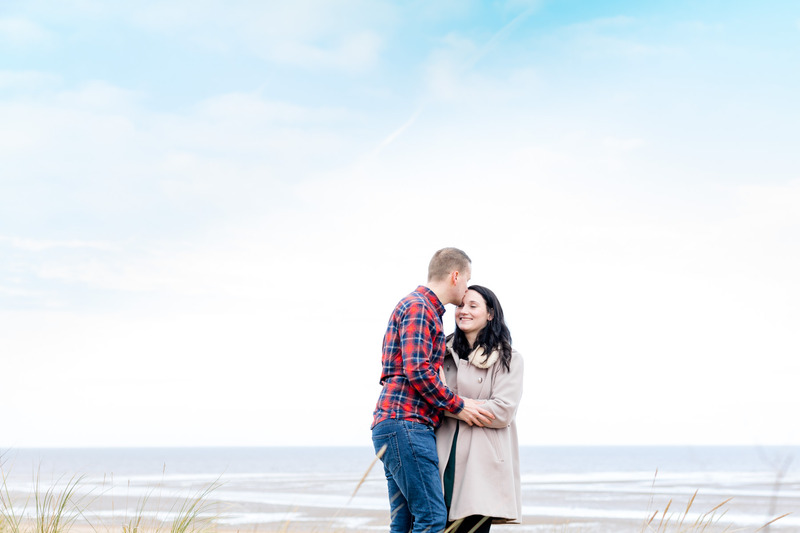 It was like we already knew each other and I was made up when they asked me to capture their wedding day. 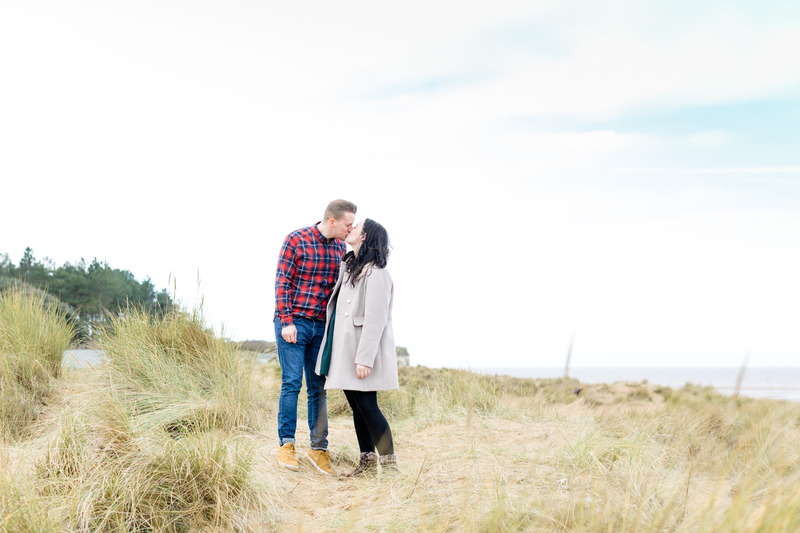 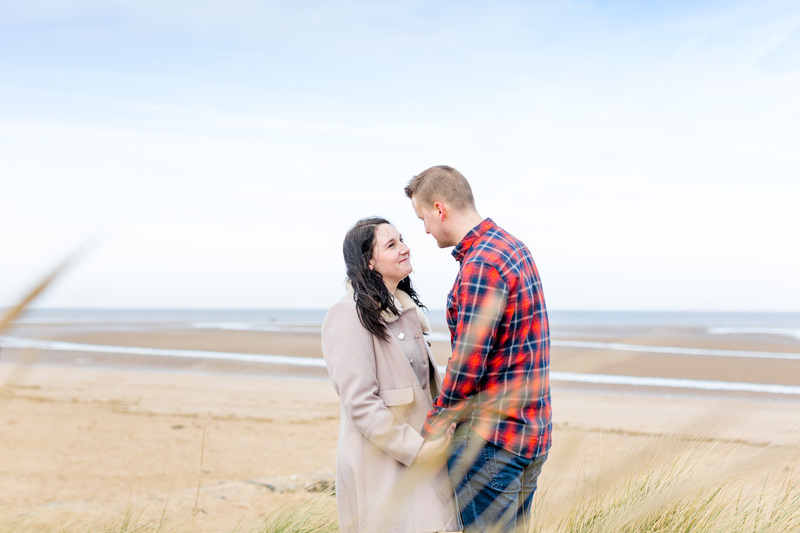 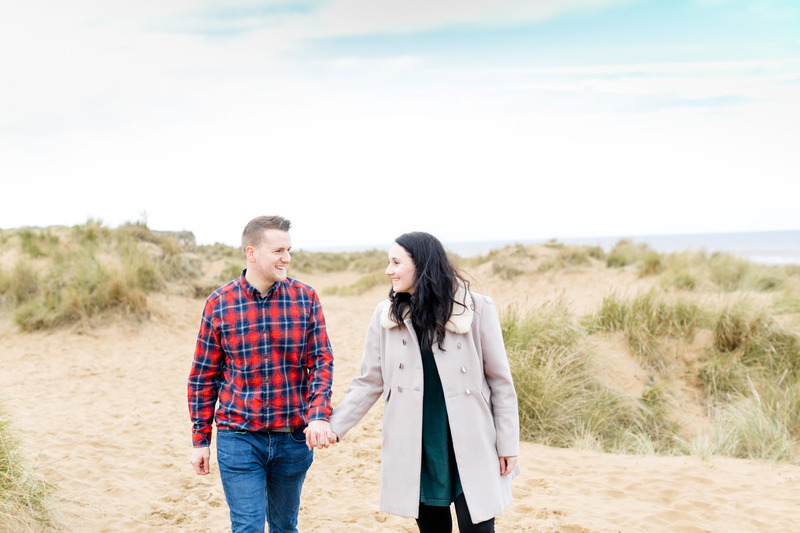 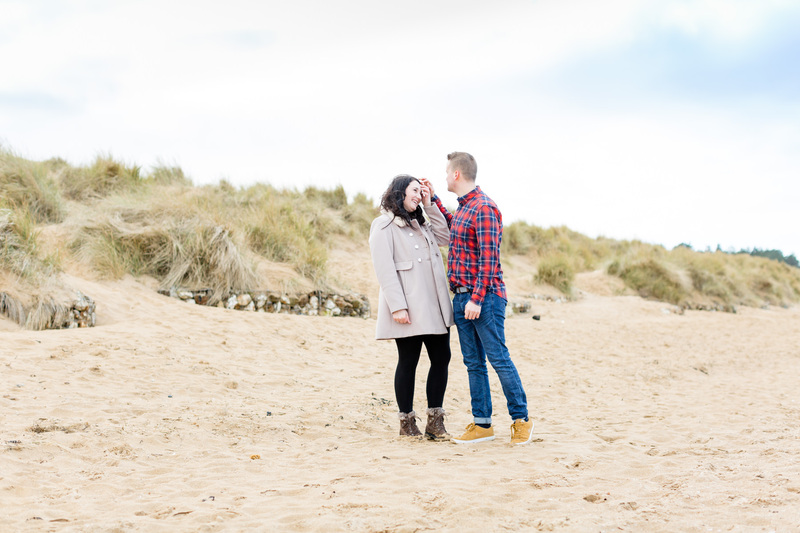 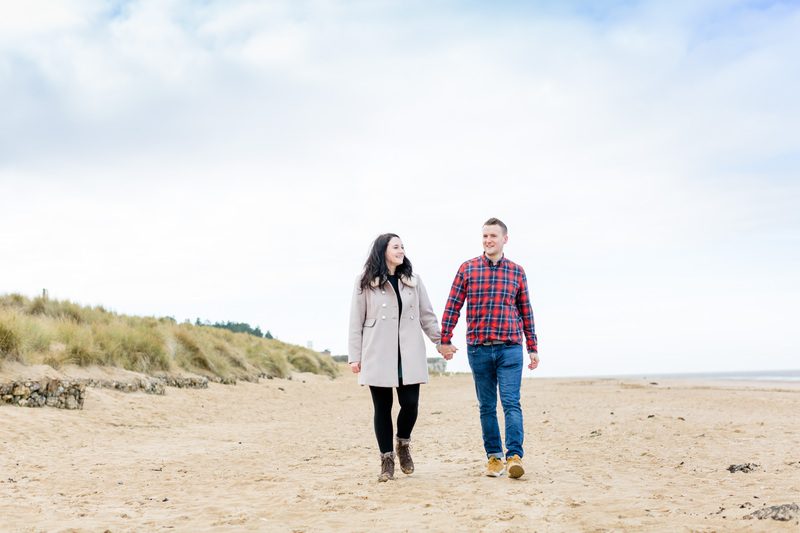 Fast forward eight months and here we are on a rather cool and blustery coast for their pre-wedding shoot. 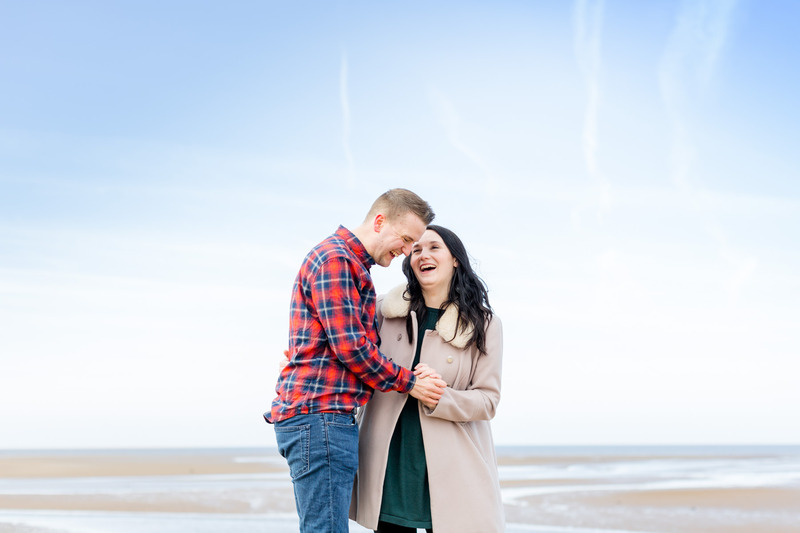 They are an absolute delight to spend time with, neither of them were nervous in front of the camera (or if they were it most certainly didn’t show)! 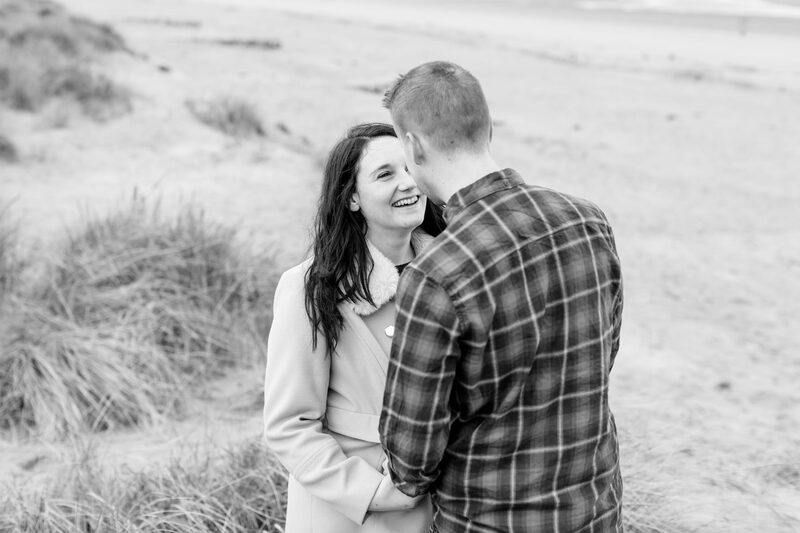 They did exactly as I asked them to, which was to act like I wasn’t there, chat with each other, snuggle and enjoy time together whilst setting this special time of their lives in stone by capturing some stunning images. 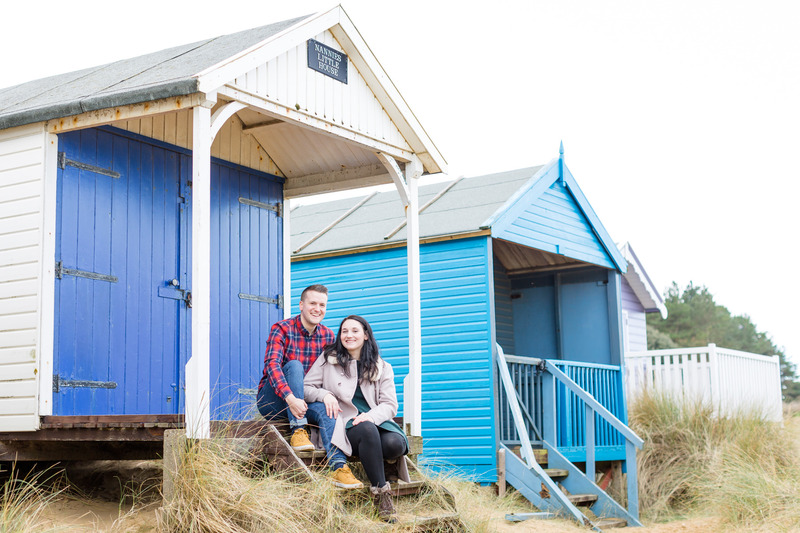 Oh and talking of special places … Grace’s family own the cute blue and white beach hut, how cool is that! 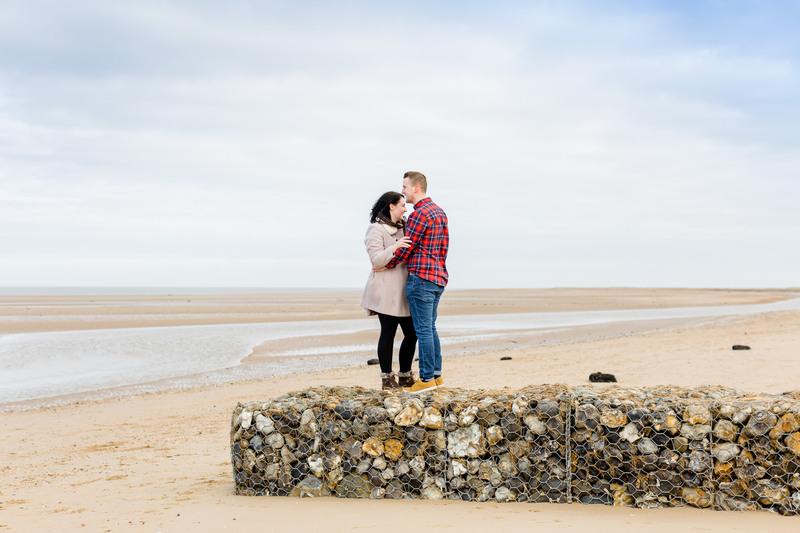 The really lovely thing about pre-wedding sessions is I get a brilliant update on where wedding plans are up to. 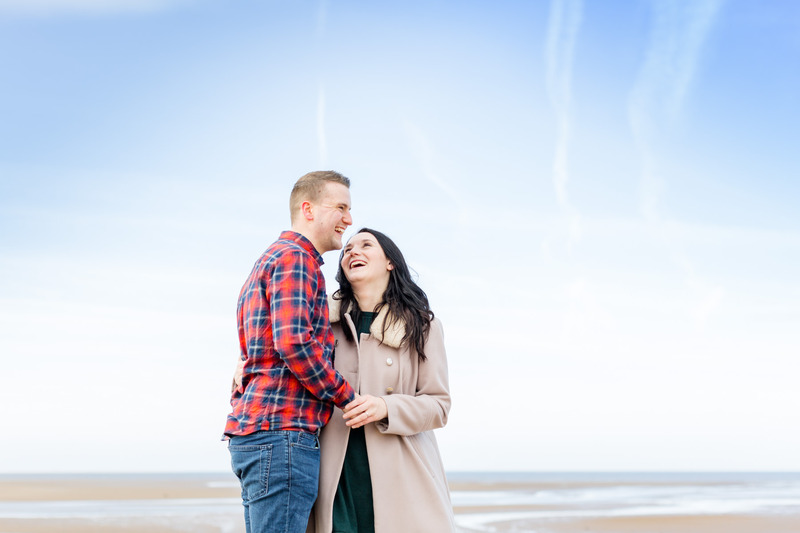 I hear about stag and hen party plans, plus I get to know you a little better, see your personalities ahead of your wedding day which really helps us all. 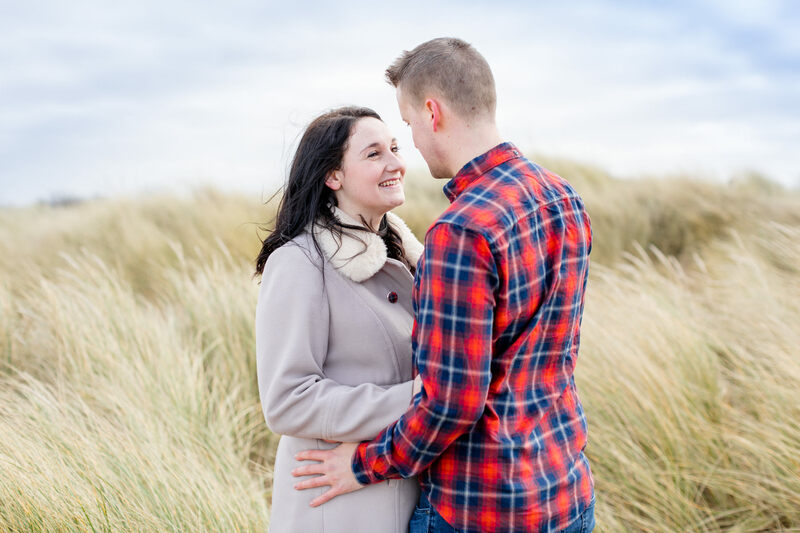 Grace & Benjamin are so happy, relaxed and friendly and I really cannot wait until their wedding at Thursford Garden Pavilion, Norfolk in May! 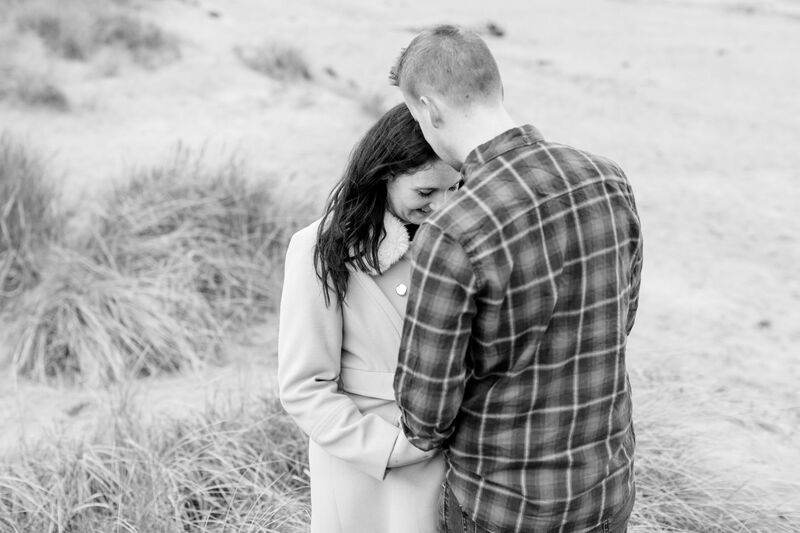 It’s important to me that you feel relaxed and happy on your wedding day. 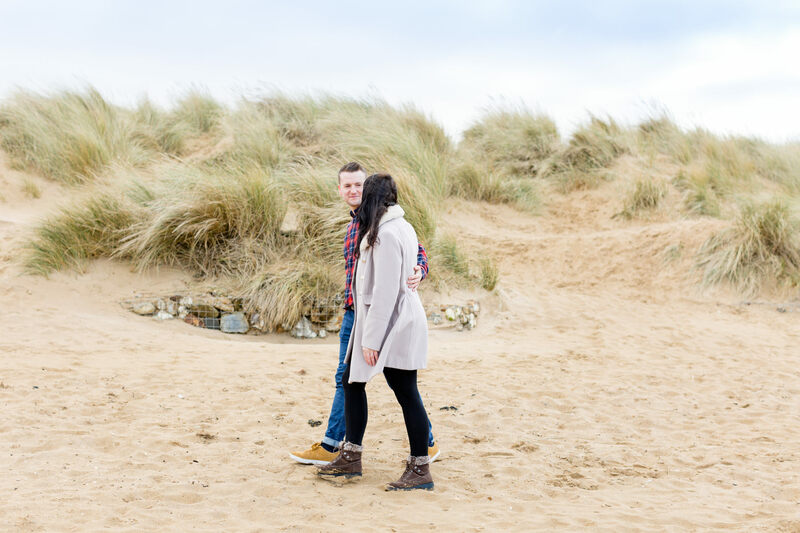 We are simply not used to having a professional photographer follow us around for most of the day! 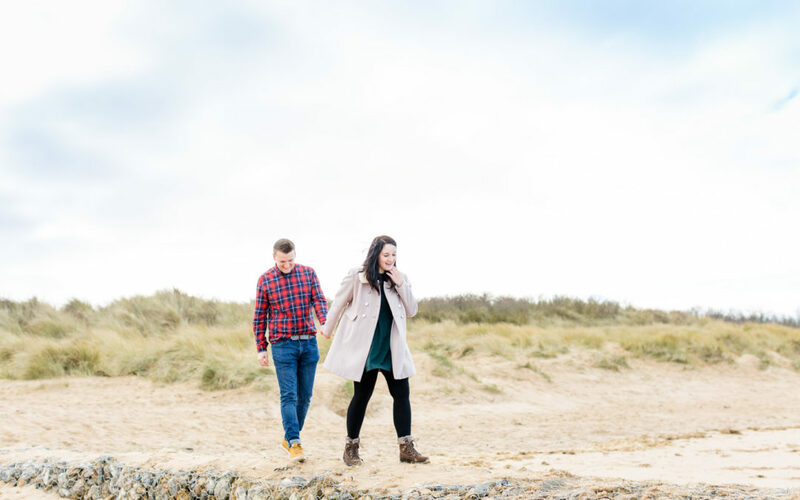 I’ve discovered from chatting with couples over the past few years, that their pre-wedding photography shoot helped massively to ease nerves, to get to know me a little better and also to know and understand exactly what to expect on your wedding day. 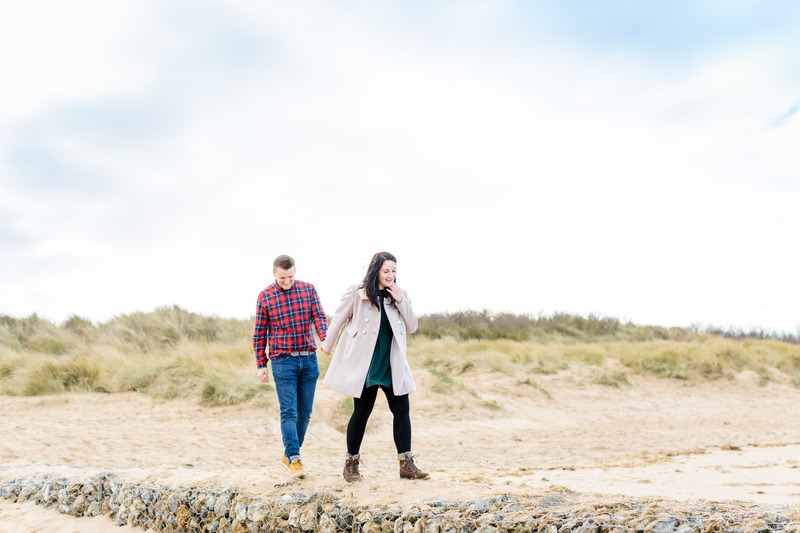 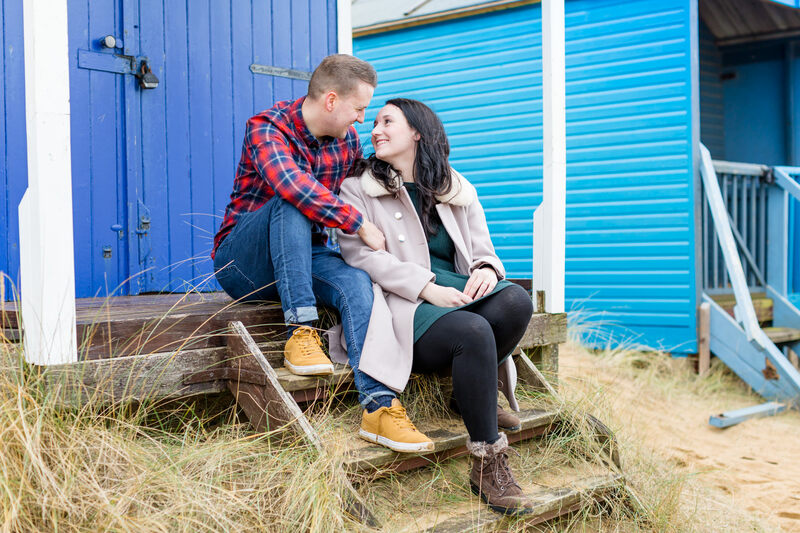 Ahead of your engagement shoot I will send you helpful tips on how to choose a location, ideas on what to wear, which time of the day is best depending on your chosen location, plus lots of handy hints and tips to make you feel super relaxed and excited about it.